I figured I would start a general thread. Give you general info about us and contact information. You guys can post any questions or comments you may have for me in here too. This has worked for me and board members on other forums so it should work out well here. 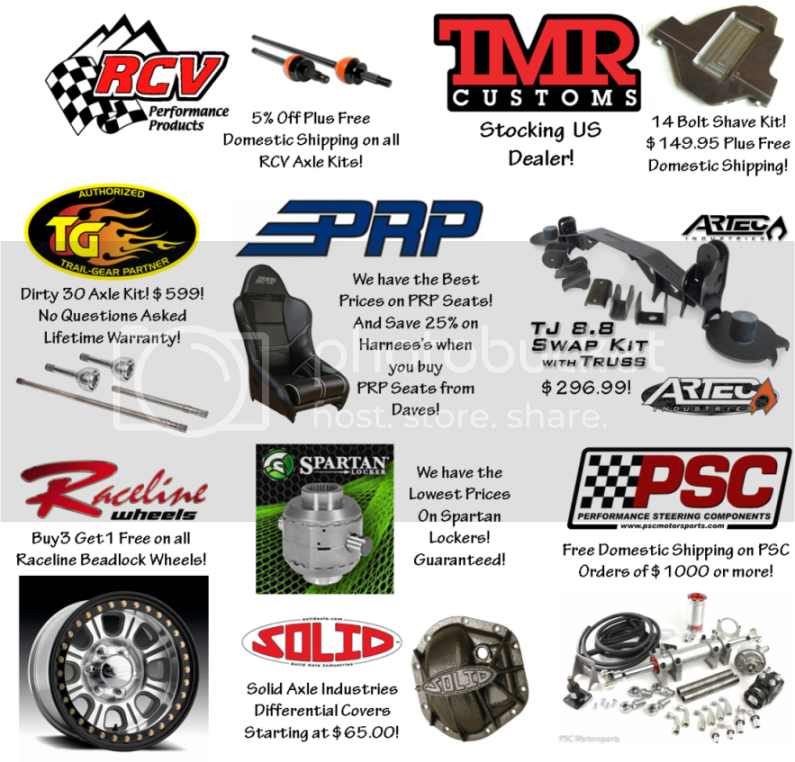 5% off Promo Code: "pgh5"
Here is a list of companies we are vendors for. We can get many more too! If its not on the list and something you are interested in post up and I will let you know if we are able to help. 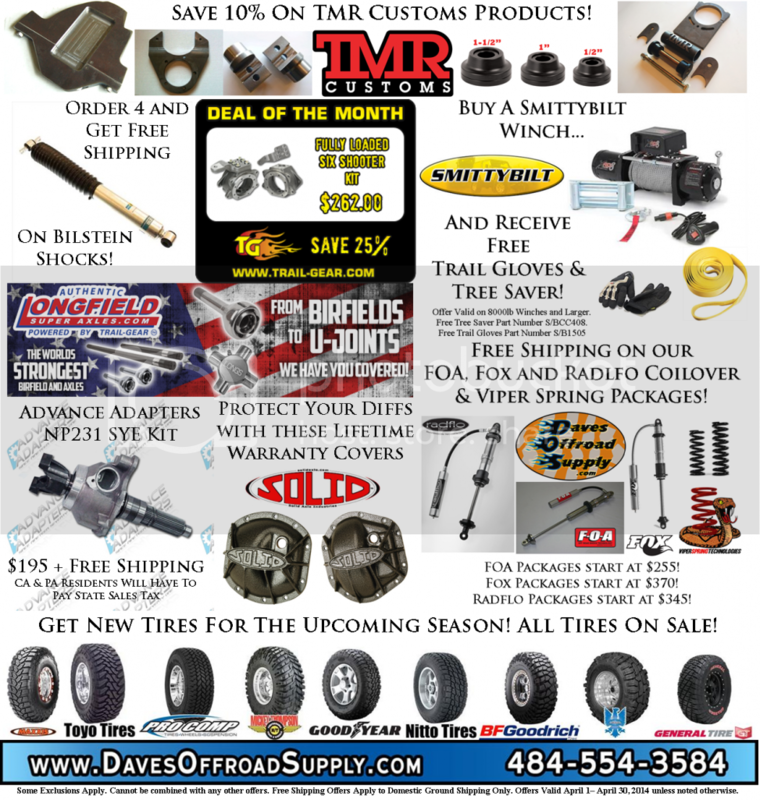 Last edited by Daves Offroad Supply; 05-11-2013 at 03:30 PM. PGH Members use Promo Code "pgh5" for 5% off on our website! Yep. Dave's a Reid man too. PM Sent, Sorry for the slacking on responding to you. Maxxis Trepador Stickies! Click the link to find them on our website! 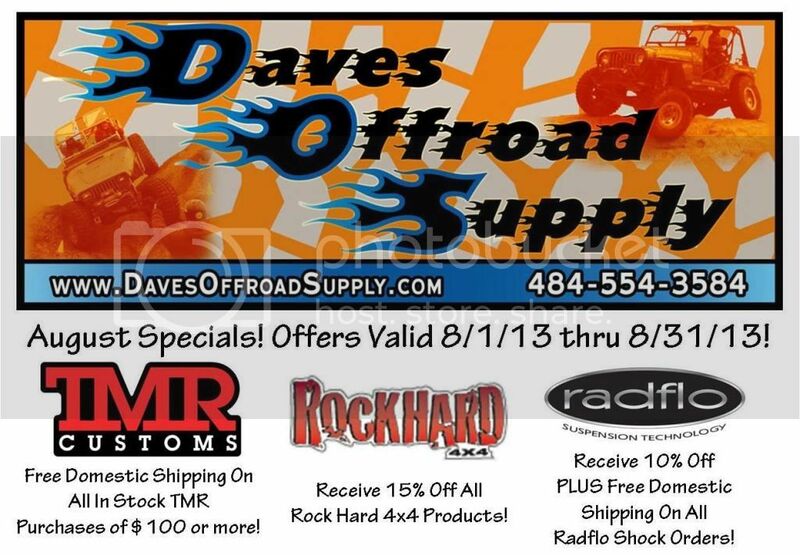 Daves Offroad Supply is now an ORI Dealer! Click the picture to check them out. 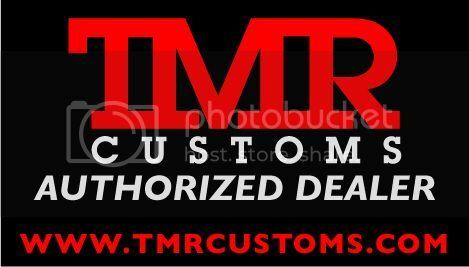 We are a STOCKING TMR CUSTOMS dealer! 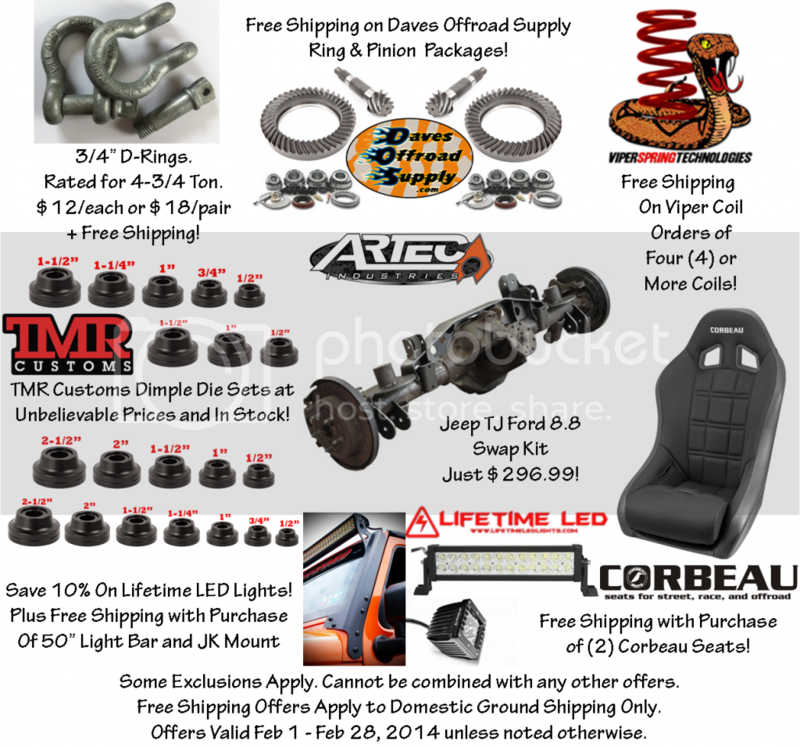 Click the picture to check out some of their products. 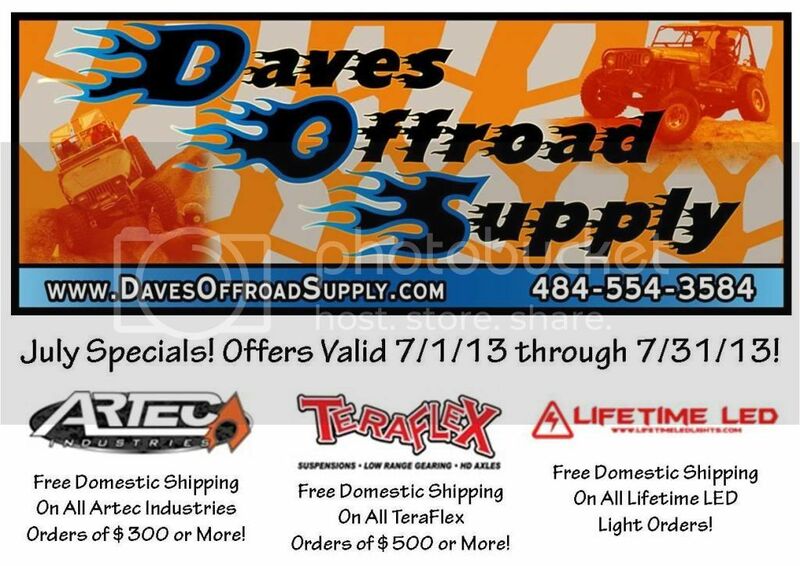 PLUS FREE DOMESTIC GROUND SHIPPING! 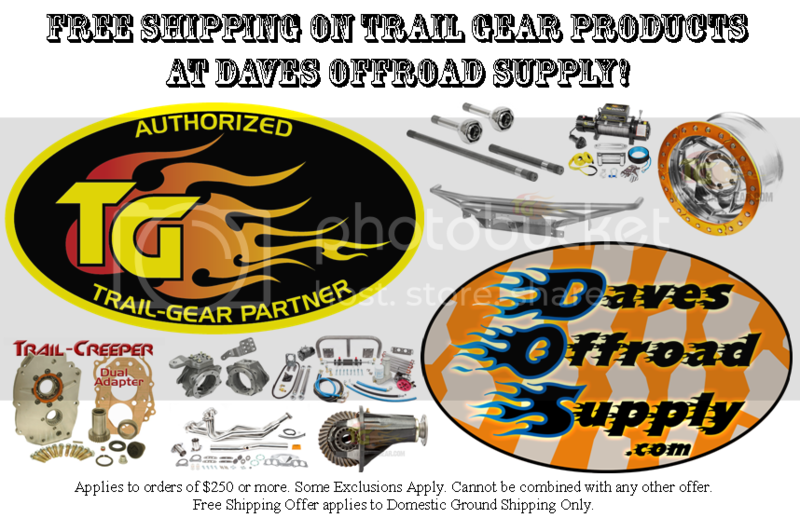 Daves Offroad Supply has some overstock, clearance, return items on sale. Check out the list of products below. You must call, email or PM me for these prices/products. They are not listed on our website. 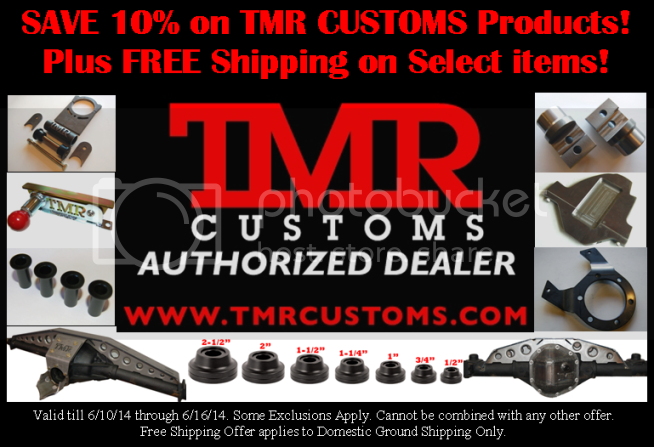 Trail Gear Tube Doors for '89-'95 Toyota Pickup (120136-1-KIT) = $150 shipped to the Lower 48. These were painted purple prior to being returned so that are going to arrive purple. Pretty easy to clean up or paint over. Advance Adapters 1350 Non CV Yokes for Atlas 32 Spline (A1350) = $50/each shipped to the Lower 48. Two of these available. Brand New. 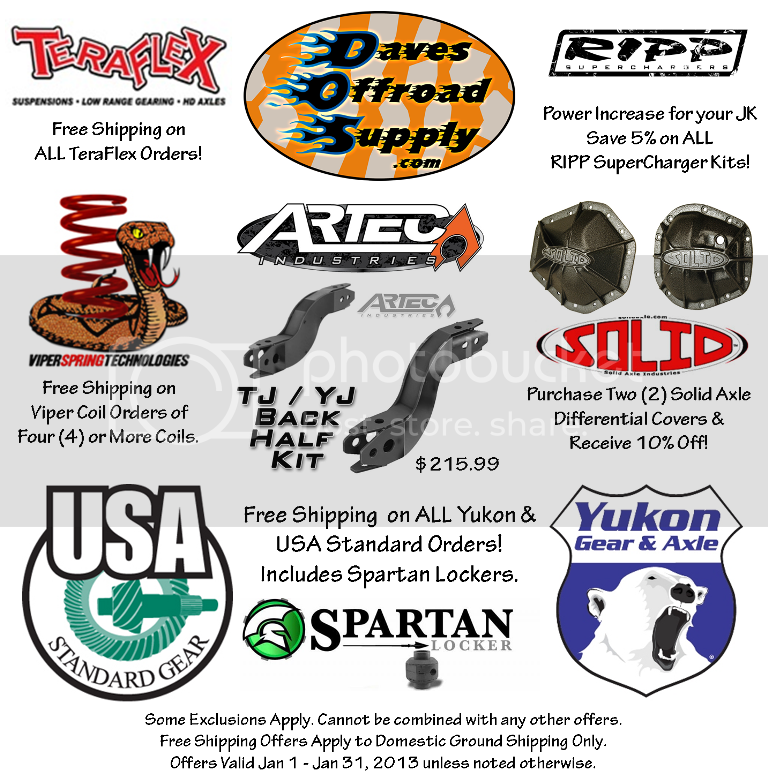 RuffStuff 9.75" Shock Tower, 2" Deep (STOWER975) = $80 shipped to the Lower 48. Brand New. Beard 35" Limit Straps. Brand new but older. $25 for the pair shipped to the Lower 48. Rubicon Express Leaf Spring Centering Pins, 3/8" (RE1483) Two Pair Available. Brand New. $5 plus shipping for a pair. Ship in a small flat rate for $5.25, reason I priced them this way is if someone wanted all 4 the shipping would be $5.25 still. Rugged Ridge Roller Fairlead License Plate Mounting Bracket. Brand New. $25 shipped to the Lower 48. Ford 9" Nodular Daytona Style Pinion Support. Brand New. $75 shipped to the Lower 48. Master Overhaul kit for GM '89-'97/'98 14T differential. Brand New. $200 shipped to the Lower 48. Ring & Pinion gear set for Dana 44 standard rotation, 5.13 ratio. Two sets available. Brand New. $150 per set shipped to the Lower 48. Ring & Pinion gear set for GM 9.5" in a 4.11 ratio. Brand New. $150 shipped to the Lower 48. 85 & Older 8" Toyota, 1-1/2" with YZL, ARB & V6 Locker Master Install kit. Brand New. Was returned and box is a little rough but will be reboxed for shipping. $100 shipped to the Lower 48. Axle bearing retainer plate for Dana 44 TJ rear. For Drum Brakes. Brand New. One Pair Available. $15 shipped to the Lower 48. 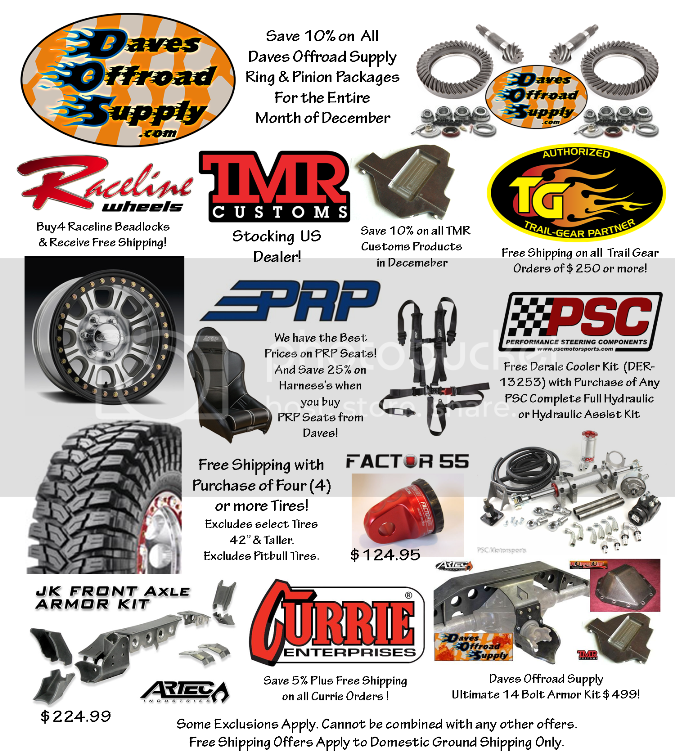 I ordered a bunch of stuff through Dave over the last few months. Shoot him an email or give him a call. He'll still do the discount but it doesn't work on the website.